In this study, three novel phenanthroimidazole derivatives containing azo group were synthesized and their photophysical properties were investigated. For this purpose, 2-(4-nitrophenyl)1H-phenanthro[9,10-d]imidazole structure obtained from 9,10-phenanthroquinone and 4-nitrobenzaldehyde was reduced with palladium on activated charcoal 10 % and hydrazine hydrate. Phenanthro[9,10-d]imidazole-2-yl)aniline obtained in this way was converted to phenantroimidazole-azo derivatives containing different aromatic groups. Structural analyses were performed by FT-IR, NMR, LC-MS spectroscopic techniques. Spectral characterizations and photostability studies of phenanthroimidazole derivatives were performed by UV-vis and fluorescence spectroscopy in solvent media. The maximum absorption and emission wavelengths, molar extinction coefficients, singlet energy levels, Stokes’ shift values of phenanthroimidazole-azo derivatives were obtained. 1. Fleischmann, C, Lievenbrück, M, Ritter, H, Polymers and Dyes: Developments and Applications, Polymers, 2015, 7, 717-746. 2. Rizk, H.F, Ibrahim, S.A, El-Borai, M.A, Synthesis, fastness properties, color assessment and antimicrobial activity of some azo reactive dyes having pyrazole moiety, Dyes and Pigments, 2015, 112, 86-92. 3. Guru Prasad, L, Azo Dye Doped Polymer Films for Nonlinear Optical Applications, Chinese Journal of Polymer Science, 2014, 32, 650-657. 4. Ahmad, B, Bhatti, I.A, Saeed, Q, Abbas, M, Synthesis and Applications of Three Vinylsulfone Based Fiber-Reactive Azo Dyes for Dyeing Cotton Fabric, International Journal of Basic&Applied Sciences, 2012, 12, 129-136. 5. Miladinova, P.M, Vaseva, R.K, Lukanova, V.R, Synthesis and Investigation of Some Acid Azo Dyes for Wool, Journal of Chemical Technology and Metallurgy, 2015, 50, 20-25. 6. Krishna, N.V, Krishna Jonnadula, V.S, Singh, S.P, Giribabu, L, Islam, A, Bedja, I.M, Bulky Nature Phenanthroimidazole Based Porphyrin Sensitizers for Dye-Sensitized Solar Cell Applications, The Journal of Physical Chemistry C, 2017, 121, 25691-25704. 7. Huang, H, Wang, Y, Zhuang, S, Yang, X, Wang, L, Yang, C, Simple Phenanthroimidazole/Carbazole Hybrid Bipolar Host Materials for Highly Efficient Green and Yellow Phosphorescent Organic Light-Emitting Diodes, The Journal of Physical Chemistry C, 2012, 116, 19458-19466. 8. Butkute, R, Lygaitis, R, Mimaite, V, Gudeika, D, Volyniuk, D, Sini, G, Grazulevicius, J.V, Bipolar highly solid-state luminescent phenanthroimidazole derivatives as materials for blue and white organic light emitting diodes exploiting either monomer, exciplex or electroplex emission, Dyes and Pigments, 2017, 146, 425-437. 9. Wang, Z, Lu, P, Chen, S, Gao, Z, Shen, F, Zhang, W, Xu, Y, Kwok, H.S and Ma, Y, Phenanthro[9,10-d]imidazole as a new building block for blue light emitting materials, Journal of Materials Chemistry, 2011,21, 5451-5456. 10. Ferreira, R.C.M, Costa, S.P.G, Gonçalves, H, Belsley, M and Raposo, M.M.M, Fluorescent phenanthroimidazoles functionalized with heterocyclic spacers: synthesis, optical chemosensory ability and two-photon absorption (TPA) properties, New Journal of Chemistry, 2017, 41, 12866-12878. 11. Barton, J.W, Grinham, A.R, Phenanthro[9,10-d]imidazole Derivatives. The Structure of Zincke's Phenanthraquinone lmide Anhydride, Journal of the Chemical Society (C), 1971, 0, 1256-1259. 12. Itano, H.A, Yamada, S, 2-Aminophenanthroimidazole, fluorescent product of the reaction of phenanthrenequinone with arginine, Analytical Biochemistry, 1972, 48(2), 483-490. 13. Srinivasan, P.R, Srinivasan, M, Mahadevan, V, Preparation and properties of polybenzimidazoles containing azo groups, Journal of Polymer Science, 1982, 20(4), 1145-1150. 14. Gianfranco, S, Guido, A, Affinity and dyeing rate on secondary cellulose acetate fiber of some heterocyclic disperse azo dyes, Annali di Chimica, 1984, 74, 623-625. 15. Steck, E.A, Day, A.R, Reactions of Phenantroquinone and retenequinone with aldehydes and ammonium acetate in acetic acid solution, Journal of American Chemical Society, 1943, 65, 452-456. 16. Satapathy, R, Wu, Y.H, Lin, H.C, Novel dithieno-benzo-imidazole-based Pb2+ sensors: substituent effects on sensitivity and reversibility, Chemical Communications, 2012, 48, 5668-5670. 17. Carella, A, Centore, R, Fort, A, Peluso, A, Sirigu, A, Tuzi, A, Tuning Second-Order Optical Nonlinearities in Push-Pull Benzimidazoles, European Journal of Organic Chemistry, 2004, 12, 2620-2626. 18. Alredha, R, Al-Rubaie, L, Mhessn, R.J, Synthesis and characterization of azo dye para red and new derivatives. 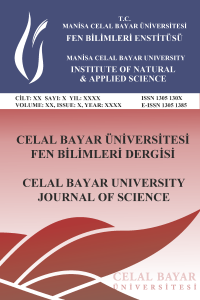 E-Journal of Chemistry, 2012, 9, 465-470. 19. Masoud, M.S, Ali, A.E, Shaker, M.A, Ghani, M.A, Solvatochromic behavior of the electronic absorption spectra of some azo derivatives of amino pyridines, Spectrochimica Acta Part A, 2004, 60, 3155-3159. 20. Lee, C, Yum, J.H, Choi, H, Kang, S.O, Ko, J, Humphry-Baker R, Gratzel, M, Nazeeruddin, K, Phenomenally High Molar Extinction Coefficient Sensitizer with “Donor-Acceptor” Ligands for Dye-Sensitized Solar Cell Applications, Inorganic Chemistry, 2008, 47, 2267-2273.